Donald Michael Platt Soars His Book Close to the Sun to High Heights for Me! | Oh, for the HOOK of a BOOK! ← Susan Spann Talks with Me about Writing Mysteries, Asian Fascination, and Raising Seahorses! Donald Michael Platt Soars His Book Close to the Sun to High Heights for Me! 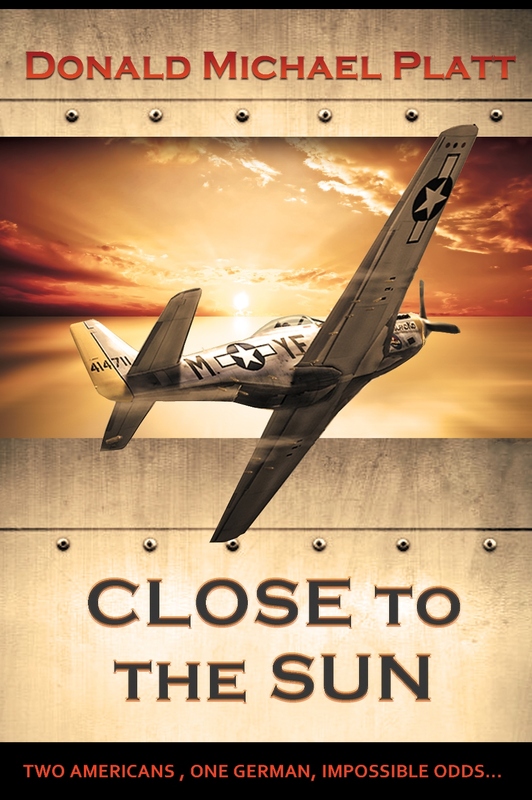 I was offered to be able to pre-review Donald Michael Platt’s Close to the Sun and I jumped at the chance, with my love of the history of anything to do with flight or fighter planes I had high hopes. This book certainly soared for me! It’s an amazing story told from the perspective of average male fighter pilots in the onset and during WWII, juxtaposing between various men from many sides of the war. He makes one remember that the lives, desires, and pursuits of these enlisted men had almost nothing to do with the plan of their governments and as well that they really weren’t all that different from each other in many regards. As an Air Force brat myself, with fond memories of the flight line as a child, and an affinity for flight, I truly feel he captured the essence of the obsession of flying and made you feel the euphoria and drive of those pursuing this dream. I felt a bit like I was watching another version of “Top Gun” at first and then I enjoyed how he utilized the backdrop of WWII, in which he shows that for some men it was mostly all about the pursuit of flying and making flying records, though they are always patriotic as well and learn the dark side of flying in war. Don’t you love this photo of Donald and his cat? I think it’s like an oil painting! 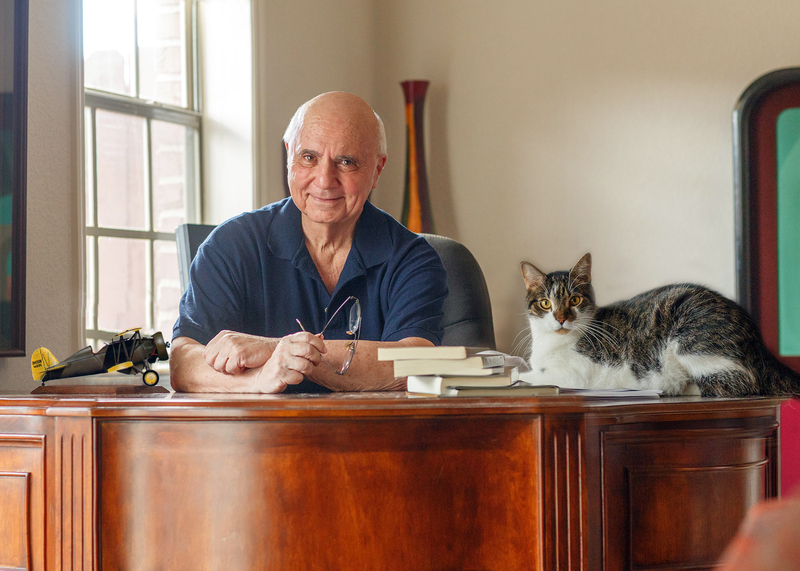 Author of four novels, ROCAMORA, HOUSE OF ROCAMORA, A GATHERING OF VULTURES, and CLOSE TO THE SUN, Donald Michael Platt was born and raised in San Francisco. Donald graduated from Lowell High School and received his B.A. in History from the University of California at Berkeley. After two years in the Army, Donald attended graduate school at San Jose State where he won a batch of literary awards in the annual SENATOR PHELAN LITERARY CONTEST.